Following the epic box-office success of Star Wars, there was what can only be described as a glut of science fiction shows and movies, trying to capitalize on the momentum. Most of the shows were crap, but we did enjoy Battlestar Galactica. It helped that the visual effects were done by Star Wars alumni John Dykstra and his company Apogee. 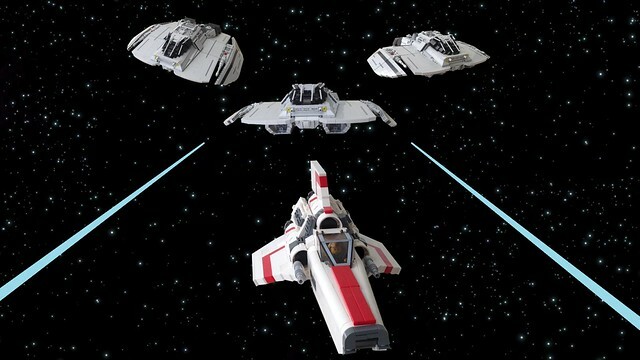 It would appear Lego Admiral was a fan too, judging by his faithful and excellent Cylon Raider and Colonial Viper.